Problem: Most people are required to renew their Healthcare CPR/BLS certification by attending an in-classroom course. Unless you spend time studying between certifications, there is a good chance that you will have forgotten most of the material by the time your certificate is up for renewal. 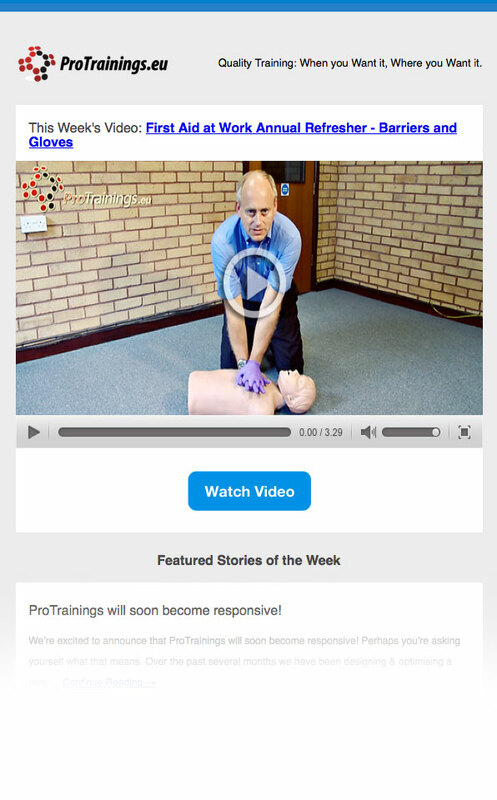 Solution: ProTrainings offers a Free Weekly Training Refresher Email to reinforce the concepts learned in our online training program and help you review throughout the year in short segments. We also offer dedicated courses aimed at refresher requirements like our First Aid At Work Annual Refresher course and a complete range of courses online.